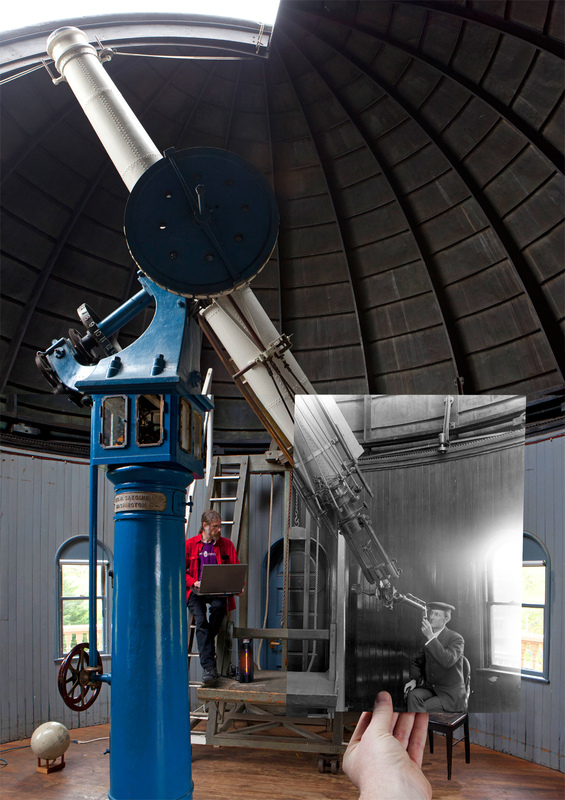 The historic Ladd Observatory opened in 1891 under the direction of Prof. Winslow Upton. A regular program of transit observations and timekeeping was started in 1893. Prof. Charles Smiley, famous for his observations of solar eclipses, became director of Ladd Observatory in 1938. Associate Dean of the College David Targan is the current director. 210 Doyle Avenue, at the corner of Doyle and Hope. Park on Doyle Ave. as Observatory parking is very limited. 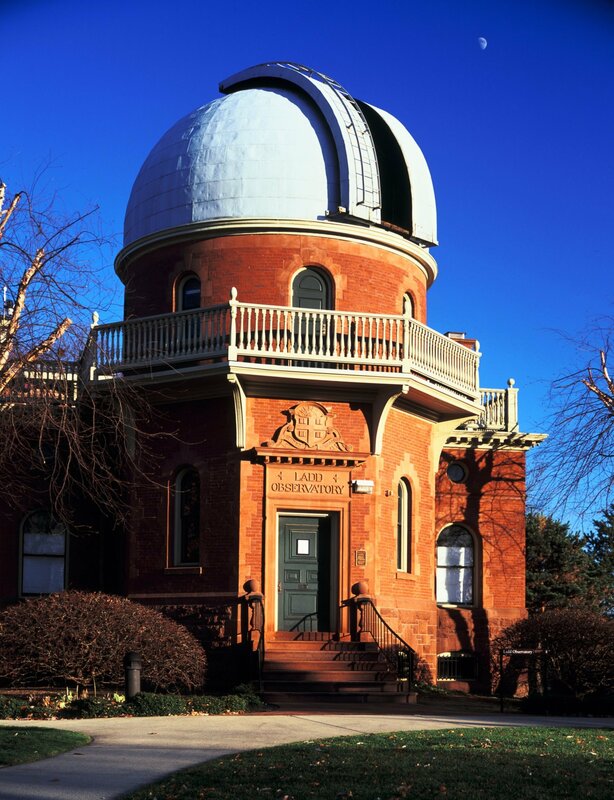 Discover the stories of our rich history of science and education at our blog. Learn how we synchronized precision pendulum clocks to the stars by watching "From Star to Clock... Timkeeping at Ladd Observatory" a presentation by the Observatory Curator recorded for our 125th Anniversary. We are open to the public free of charge on clear Tuesday evenings from 8 to 10 pm. We will be open, weather permitting. Please note: our hours have changed due to daykight saving time.